In Kundalini Yoga we often make use of mantra’s, not just in meditation but also during physical exercises. One mantra you may encounter quite a lot is the mantra Sa Ta Na Ma. What do these sounds mean and what effect do they have on us? And how can chanting these sounds help us to break through blocks, through old limiting habits that have been with us for a long time or come from our subconscious? Let’s start with the beginning. 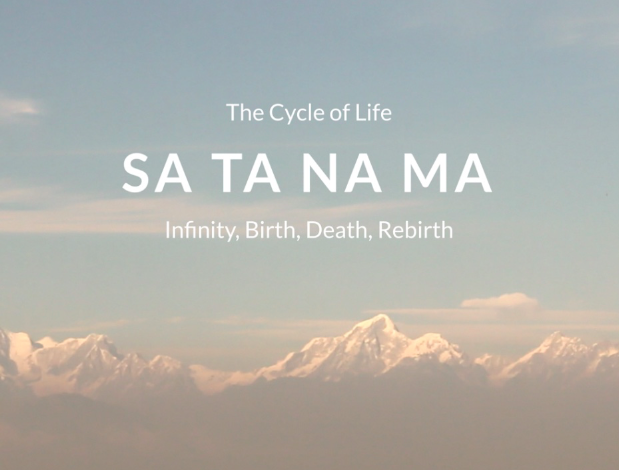 The mantra Sa Ta Na Ma, is one of the first mantra Yogi Bhajan started teaching when he came to the West in the late sixties of the last century. SA TA NA MA derives from the mantra most of you know: Sat Nam. Sat means Truth, Nam means name or identity, thus ‘Truth is my name’ or you could translate it into ‘The essence of God/the Divine is in me’. It attunes you to your highest self. Sat Nam is a beej mantra, beej means seed. A beej mantra contains all the knowledge like a tiny little seed contains everything to eventually become a fully grown tree. Beej mantras are powerful (short) sounds that reorient the mind, rearrange habit patterns of the subconscious mind and can thus invoke transformation. Pronouncing SAT NAM is like watering the seeds of truth in our consciousness and encouraging us to wake up to the truth of who we really are, our divine identity. You could say SA TA NA MA is Sat Nam chopped into 4 pieces, it contains five primal sounds S, T, N, M and ah. When a baby starts to make sounds they sound like these primal sounds, sounds no-one has taught the child but that come naturally. In the beginning there was only one sound, an everlasting sound of aaaaaahhhhh. Creation came into being when the other four primal sounds started to express themselves through aaaaaaaahhh. The sounds represent the cycle of life (and death) coming forth and returning to Infinity. Sa means birth, Ta means Life, Na means death, Ma means rebirth. Chanting this mantra, the panj shabd (mantra with five sounds) we connect ourselves to the evolutionary nature of everything that exists in the universe. SA is Infinity, cosmos, beginning, the totality of everything that ever was, is or will be. TA is Life, existence, and creativity that manifests from infinity. SA TA NA MA is a powerful sound current to clear and restructure the subconscious mind on a very elementary level and helps to break habits and free us from addictions, not just to substances, people or things but also the biggest addiction most of us have: thinking. This is because this mantra has access to the level of the mind where habits come into being. This mantra is your powerful tool to (re)create balance in your mind. Looking deeper into the meaning of this mantra and its effects it makes sense that a meditation using it helps us to break free from karma, habits and the resulting blocks. We are tapping into the cycle of life and death and through our commitment we can rearrange and clear the way for new possibilities that serve our true essence. We are sharing a beautiful video with this Kundalini Yoga mantra on the Practice Page.